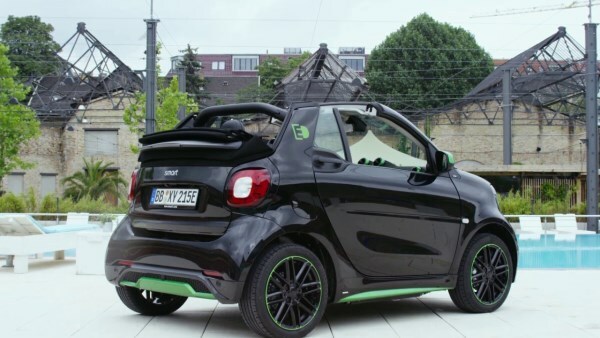 This is the Smart forfun2 developed by Daimler-Chrysler for fun. 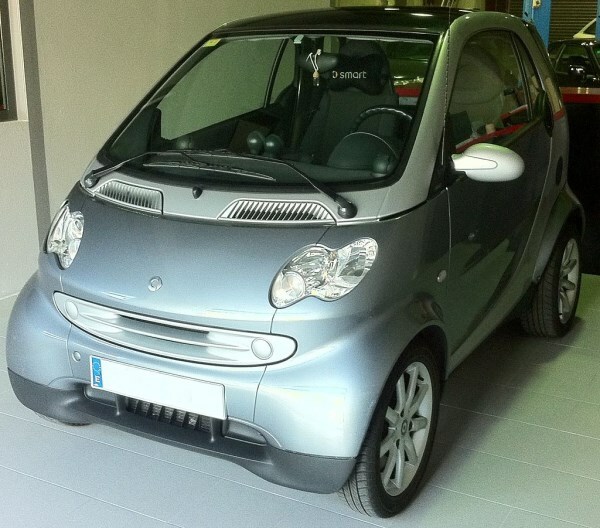 Usually known for its petite size, this Smart car is anything but small. The tires alone measure about 55 inches in diameter with 26-inch rims. 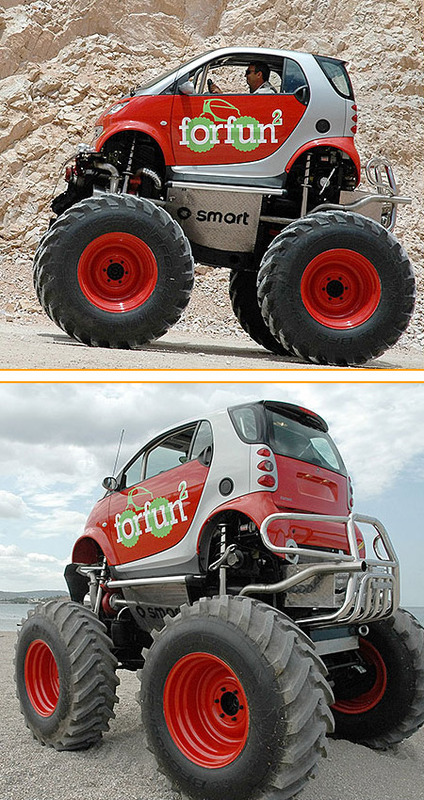 Additionally, the vehicle has a whopping 25 inches of ground clearance and a total height of over 12 feet! 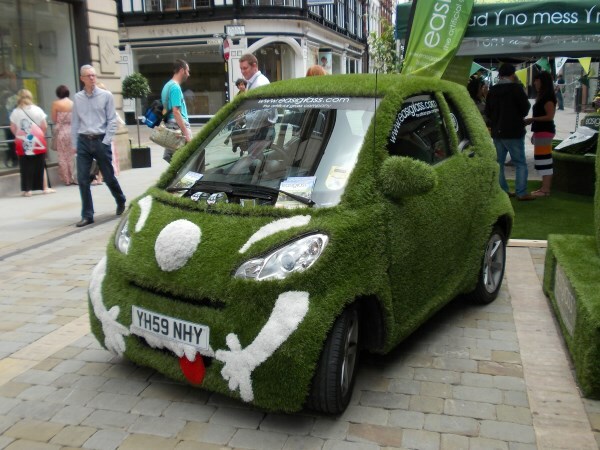 Smart Car covered in grass. 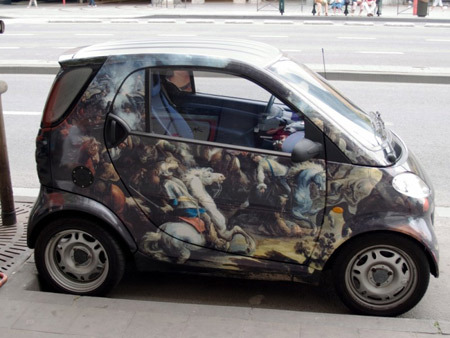 This Smart car was fully painted artistically to resemble a work of art. 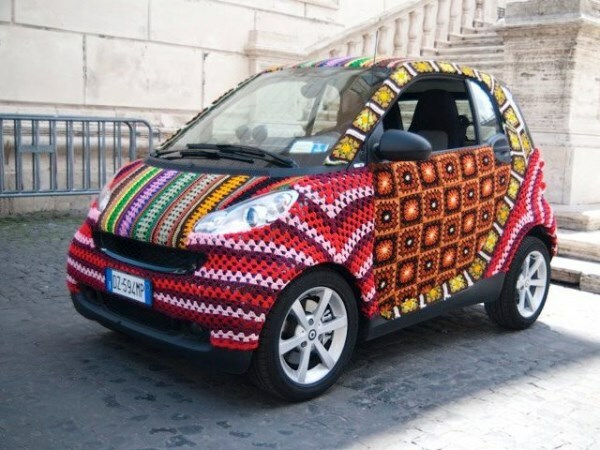 A crochet covered Smart car created by Magda Sayeg for the Il Lusso Essenziale festival in Rome, Italy. This is amazing; maybe it's the next prototype for the military. 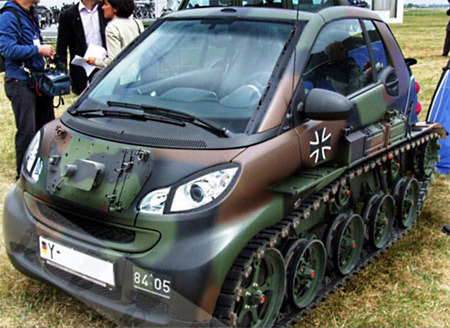 Smart car, Smart tank! 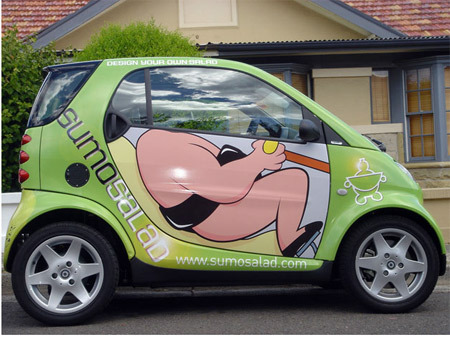 Funny Smart car painted for the SumoSalad ad campaign. Save on fuel with this super cute wind-up Smart toy. 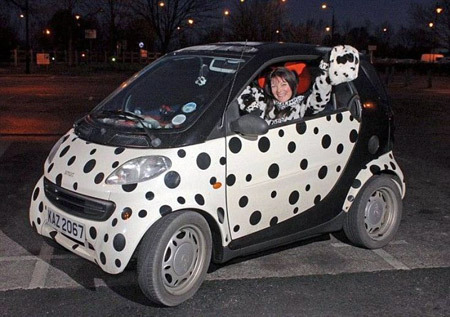 This lady really, really loves the Disney movie “101 Dalmatians”. 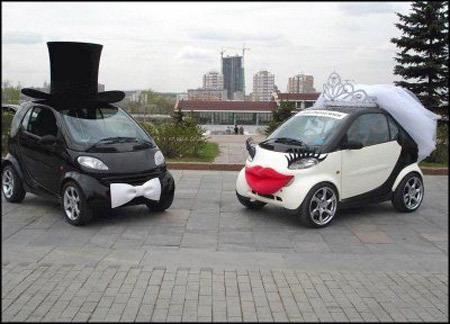 A lot of women and children would love this car! 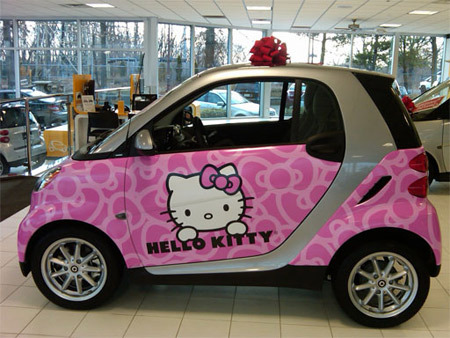 How awesome would it be to get dropped off at school in a Hello Kitty smart car? All the kids at school would want to go for a ride! 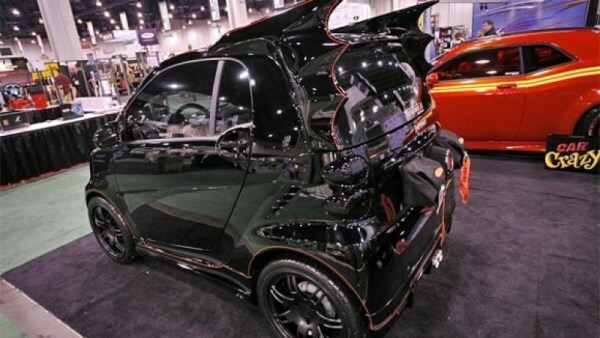 Even Batman needs to get into tiny parking spaces. 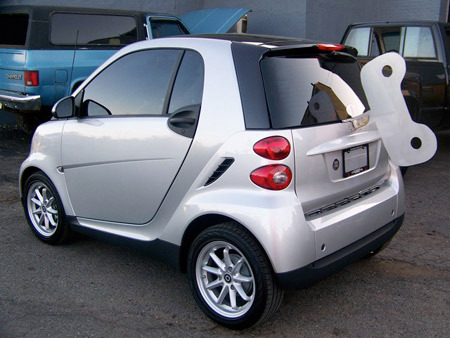 This Smart includes a big picnic table that attaches to the rear. Fun Smart car convertible in Sicily. 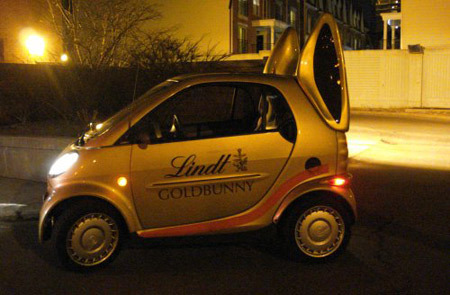 This little Smart car uses rabbit ears for the brand Lindt to promote their annual Easter. 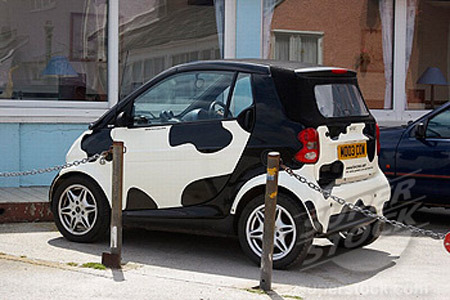 Smart car painted with a cow design.